Of the recent bachelor's degree recipients who responded to the Career Destinations survey, 85% indicated they were currently employed. Approximately 30% of those employed full-time are working in a broad spectrum of businesses, such as accounting and finance and banking. 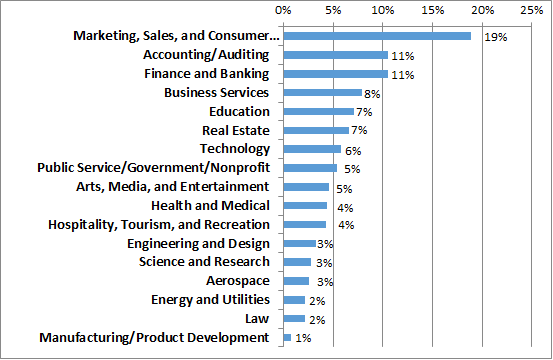 Another 19% work in marketing and sales and 7% have chosen to work in education.